Eric gasped for fresh air as he lifted the visor of his steel armet with a sharp move. 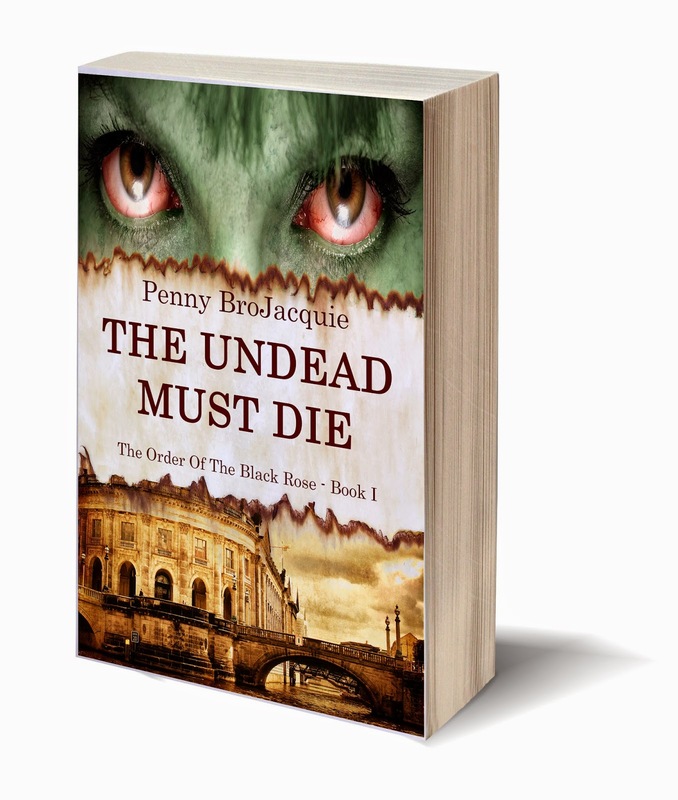 His eyes stung by smoke and his nostrils filled with the metallic smell of blood. The deafening sound of a cannon thunder rolled through his ears although they were still protected by the close helmet the Knights Hospitaller had forced him to put on before he joined them in the battle. The steel cuirass they had also made him wear looked ridiculous over his button-down white shirt and his comfortable light blue jeans. Last night he was enjoying a delicious hot meal in a cozy 21rst century apartment in London and now he was defending the Mediterranean island of Malta from the Islamic Ottoman Empire in a sixteenth-century epic battle. Boom! Pieces of stones, bricks, and wood fell over him. Four emerald green stones shined in the dimmed sunlight as he lifted the golden baculus he held up to shield himself. “That’s wrong, this shouldn’t be happening,” he whispered as he pulled his armet off his head. It wasn’t his jump back in time that troubled him. It could have been weird, but wrong, no it wasn’t. He didn’t become a time travel with no reason. It wasn’t his dream. He never wished that happened. He didn’t ask for it. He didn’t even know that time travel was even possible. It was the advance of the Turkish army to inland that was an anomaly. It was supposed to be the Great Siege of Malta. When the Ottoman Empire tried to invade the rocky island, an army of 2,000 Knights Hospitaller and barely 400 Maltese men withstood the siege and repelled the invaders. All of Europe celebrated what would turn out to be the last epic battle involving Crusader Knights. The last act of the heroic medieval Catholic military Order of which the Order of the Black Rose derived. Boom! Another shellfire distracted his thoughts. He should move to another spot. His jeans were wet soaked with blood. It wasn’t his blood; it was the blood of Knights and soldiers whose lives he was supposed to have protected. And now they were lying dead, their bodies buried beneath enormous stones of the ruined curtain wall they were assigned to guard. He crawled over Zanoguerra’s cold body. The poor boy dreamed of being a Knight someday; his dream would not come true. Eric knew that he should act as fast and efficiently as he could or the Knights Hospitaller would face their ultimate end. The whole Western civilization depended on him. That sounds pompous, he thought. It was never his choice though. He was a loyal member of the Order of the Black Rose, however he never dreamed of playing hero. Badass yes, hero no, he thought as he crawled on his hands and knees toward a huge pile of rubble that once used to be a family house. His moves were slow under the weight of the steel armor which covered his torso. Bearing the golden baculus didn’t help either. That golden rod with a cross pattée on the hilt wasn’t just a historic artefact of unfathomable value; it was his ride to Middle Ages. Four emerald green stones decorated each of the four corners of the cross pattée, the distinguished Christian cross of the Knight Templars, arms narrow at the center and broader at the perimeter. It was when those four stones flashed that the grey and white dining room Eric was in faded away, replaced by the thick walls of Mdina’s medieval castle. The jazz music he was listening during the romantic dinner he had prepared for Floriana was switched with thuds and clangs of heavy swords. One moment he was enjoying hoisin-glazed pork tenderloin with Asian rice salad, and the next he had the taste of blood and gun powder in his mouth. Half of the city walls bastions were ruined. The famous fortification of Mdina, which was supposed to still intact to the 21rst century, was now almost gone. In his time this series of defensive walls which surrounded the former capital city of Malta were on the country’s tentative list of UNESCO World Heritage Sites. “They won’t be anymore.” Mdina city had withstood several sieges, but the walls kept her inhabitants safe, except in two occasions, none of which was during the Great Siege of Malta. The Ottoman army had failed to attack Mdina, unaware of the fact that the city was guarded only by a small group of local soldiers and Knights of St John. The poorly-defended and supplied Mdina fired its cannon at the approaching force of Mustafa Pasha at pointlessly long range; this bluff fooled the tired of the long-lasted siege Turks into thinking the city was full to the brim with defenders and led to their retreat. A few days later the Turks would flee to their ships, and Malta would survive the Ottoman assault. “This is not going to happen anymore, and I don’t know how to fix it” Eric yelled as he threw his armet down with anger. The sound of the steel helmet crashing on the ground was covered by another cannon thunder. Mdina has fallen. Malta, a stepping stone to Italy, wouldn’t last long either. The rest of Europe would fall under the rule of Suleiman the Magnificent. The western civilization was in peril. He was sent back to time to stem the tide of the Ottoman imperialism and make sure that History would not be altered. But he had no idea how to do that. A sudden rustle of Sirocco wind slapped Eric’s face. Sand and dust raised above the ruined buildings and overlay the lifeless bodies that lay along St. Peter’s bastion. Women and children lay dead beside Knights, soldiers, and peasants. The wind carried the sound of iron clad hooves as the strong courses of the Ottoman cavalry reached Mdina’s city walls. The bell of the St. Pauls Cathedral was rung; a signal that the enemy was within the fortifications. 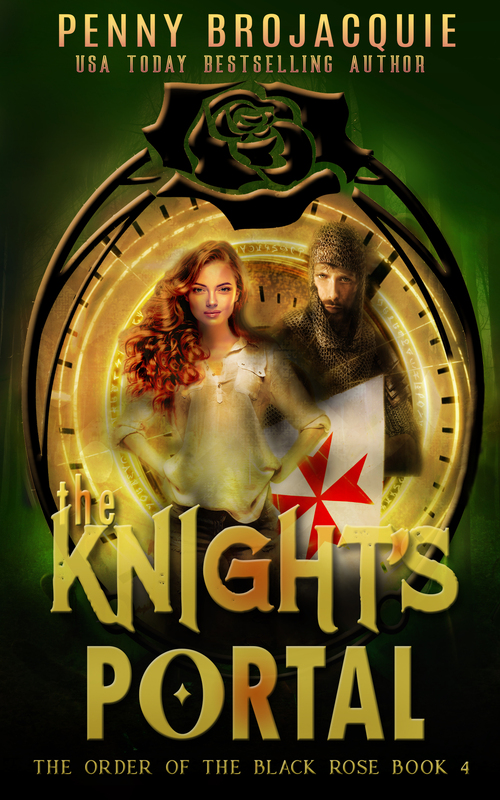 Eric picked up a fallen Knight’s sword before he moved fast towards an alley crowded with people trying to flee. It was a place well known to him. After all, Mdina was his adoptive hometown. 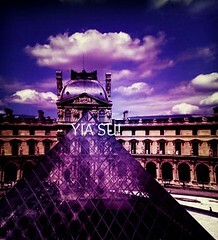 Even if he lived there five centuries later, little had changed during centuries. However, St Paul’s Cathedral, where he was heading to, had changed a lot. Founded in the 12th century, it was severely damaged in the 1693 Sicily earthquake and rebuilt in the 17th century. “That’s in two hundred years from now,” Eric thought as he tried to accelerate but the steel cuirass he wore, and the heavy sword made his moves difficult. He couldn’t understand how all that had happened; how history changed its course. According to the history books, Mdina was the base of the Order’s cavalry during the Great Siege. When the Ottoman attempted to invade Mdina to winter there, the city fired its canons misleading the Ottoman commander on the size of their ammunition. “That was supposed to be happening, but it isn’t”. The next rumble of the enemy’s cannon sounded like a thunderstorm. 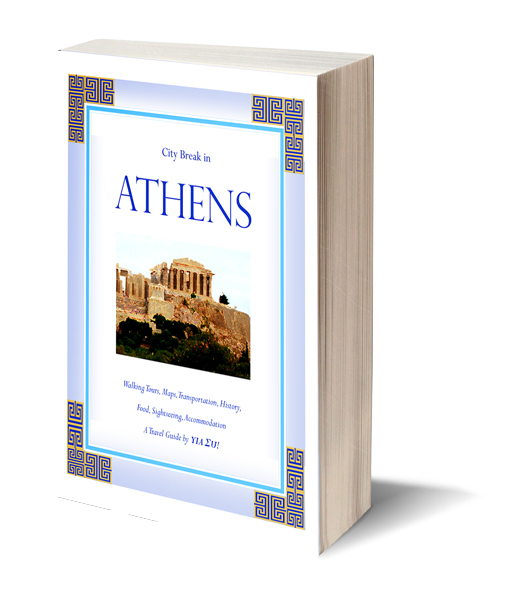 With a thunderous crash the sandstone building he was passing by collapsed taking dozens of soldiers and citizens down in its ruins. Eric held the baculus tightly as he rushed behind a tree trunk to avoid the dust the collapsing building had arisen. He was the Keeper of the Baculus. He was appointed by birth. It was his family’s longtime duty to preserve that valuable artifact, a duty that was lost in the midst of history. Some would call it a privilege. Others would call it a burden. Eric hadn’t even been warned for what the baculus bore. He found out the most spectacular way; a romantic-dinner-gonne-spectacularly-wrong way. The table was wonderfully decorated, the silverware was shiny, the food was delicious, Floriana looked beautiful in her red dress and her red curly hair; just like a fresh-cut red rose. The atmosphere was heavy though and their troubled relationship was the reason. “I was the reason,” Eric thought as he recalled the events that led to his current situation. “I don’t do relationships” he had once said to Floriana. That was before he got to know her better, before he was charmed by her looks, captivated by her vibrant personality. Quiet on the outside, Floriana was bright and lively in the inside, she always got the most out of life. Living with her in his medieval palazzo in Mdina, the one that once owned to his ancestors, but he had to spend a small fortune to gain the ownership of the astonishing property, was an experience wonderful yet challenging. Floriana was not only his partner in life, but she was also his partner in the Order of the Black Rose. There were benefits to working with his life partner; he didn’t have to live a double life. However, that came with a lot of stress. His constant worrying about Floriana’s well-being resulted in a vexing sense of unhappiness and lack of freedom. Cracks began to show in their relationship and ended up with Floriana moving to her apartment in London. Their reconciliation dinner brought them further apart; centuries apart. Floriana and he hadn’t finished their dinner when the baculus flashed in the see-through plastic case it was placed in. Since Eric found out he was the Keeper, he always bore it with him whichever his destination was. And that was the first time he ever saw it glint. Curious as he was, he opened the case and took the golden rod gently in his hands. The moment his fingers touched its golden surface, it got adhered to his skin as an octopus sticks its suckers on its victim. The picture of everything around him began to fade as if he was watching an old analogue television set transmitting static. The last thing he saw in that flicker of “snow” was the image of a frantic Floriana moving to grab his hand. A few moments of a skydiving feeling and next thing he knew, a bunch of Knights Hospitallers stared at him, observing him, scrutinizing his modern clothes, his freshly shaved face, and his 3D printed grey suede sneakers. g with his life partner; he didn’t have to live a double life. However, that came with a lot of stress. His constant worrying about Floriana’s well-being resulted in a vexing sense of unhappiness and lack of freedom. Cracks began to show in their relationship and ended up with Floriana moving to her apartment in London. Their reconciliation dinner brought them further apart; centuries apart. Floriana and he hadn’t finished their dinner when the baculus flashed in the see-through plastic case it was placed in. Since Eric found out he was the Keeper, he always bore it with him whichever his destination was. And that was the first time he ever saw it glint. Curious as he was, he opened the case and took the golden rod gently in his hands. The moment his fingers touched its golden surface, it got adhered to his skin as an octopus sticks its suckers on its victim. The picture of everything around him began to fade as if he was watching an old analogue television set transmitting static. The last thing he saw in that flicker of “snow” was the image of a frantic Floriana moving to grab his hand. A few moments of a skydiving feeling and next thing he knew, a bunch of Knights Hospitaller stared at him, observing him, scrutinizing his modern clothes, his freshly shaved face, and his 3D printed grey suede sneakers. I’m really proud to be part of this stunning set, #1 Amazon Best Seller! OUR DARK STARS- by Audrey Grey and Krystal Wade. Sci-Fi. Sleeping Beauty in space. THE SLEEPLESS-by D.K. Cassidy. Dystopian Science Fiction. In 2111, no one in the Nation sleeps unless they earn it—the hard way. 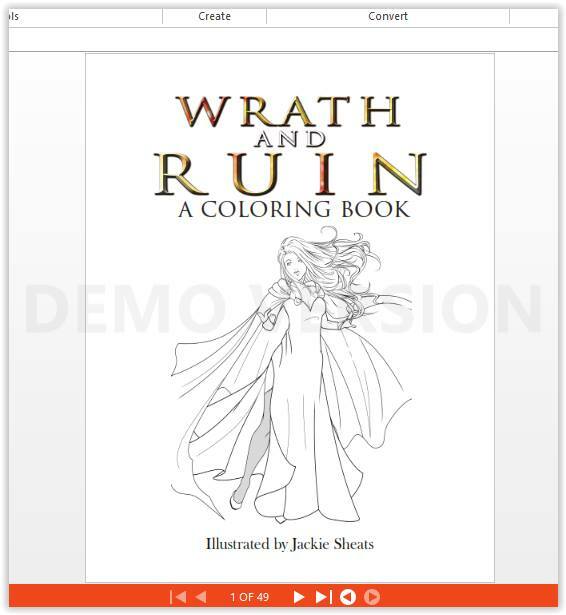 Get in on this set for just 99 cents! 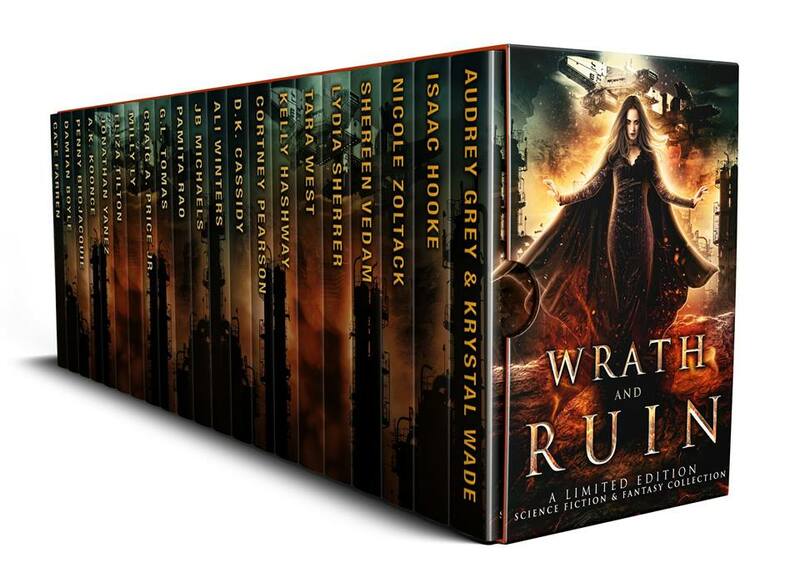 The fabulous authors of the WRATH and RUIN Boxset have put together this awesome giveaway for a $120 Amazon gift card. 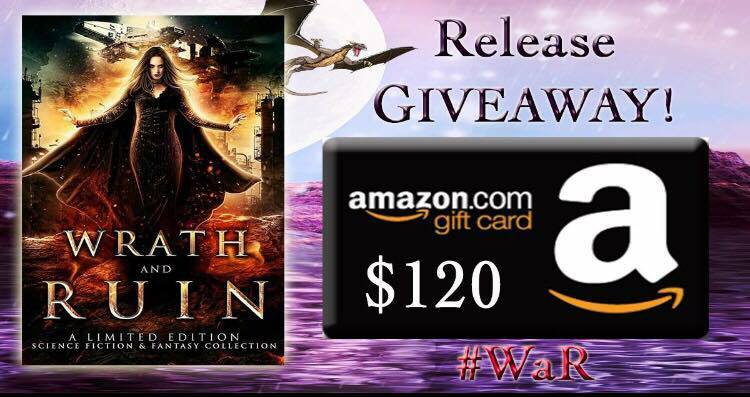 Just go to the giveaway button below and follow the instructions to enter. 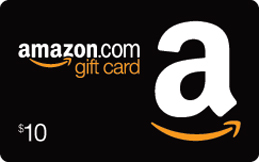 To than you for your continuous support I’m giving away one $10 Amazon Gift Card to one lucky winner. 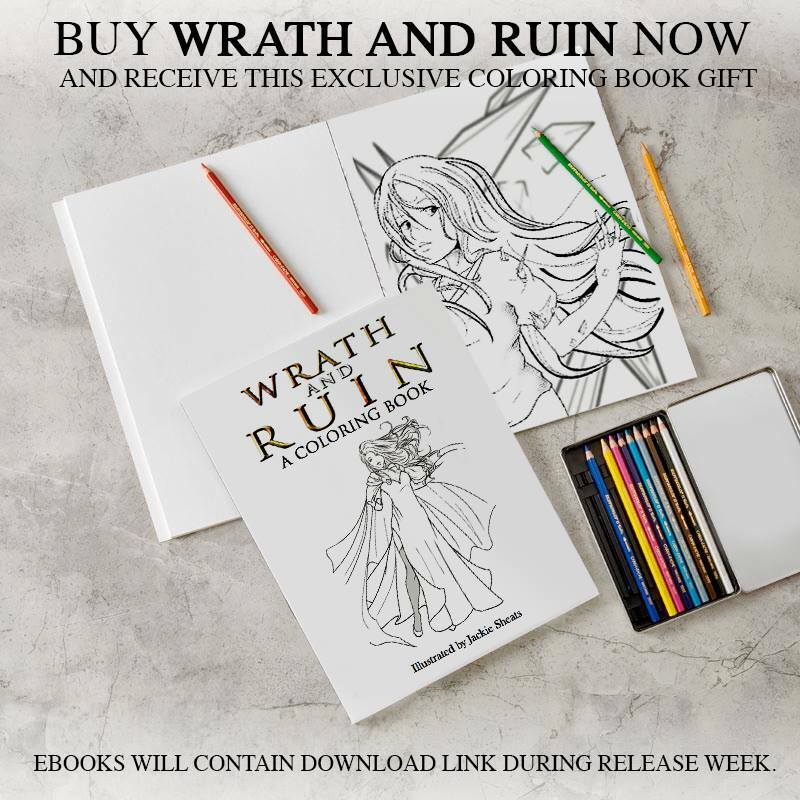 I’m also giving away a free downloadable coloring book to all those who get their Wrath and Ruin copy until Jan 10th. 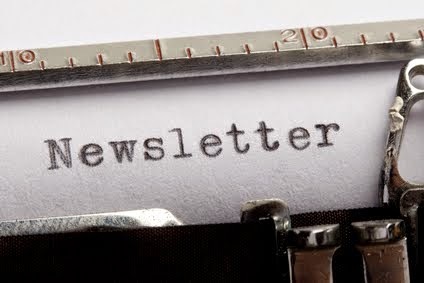 Share our boxed set with your newsletter & win a 250k Newsletter blast! 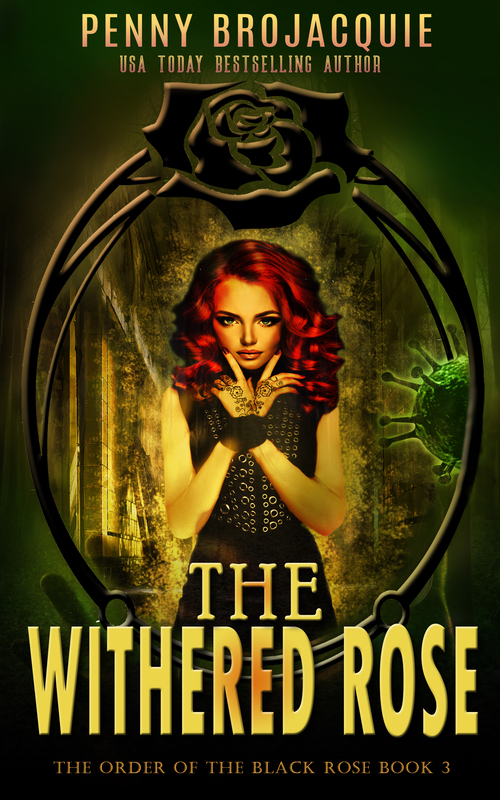 The Withered Rose, the second installment in my The Order of the Black Rose series is available in all major online bookstores. She thinks she fights against bioterrorists; but her own blood is the real enemy. Her bad feeling was right; nothing in her life was what it seemed to be, and one night she found out in the most heartbreaking way. After a night of despair, she found herself lying in Hubbard Park with her clothes ripped and a strange man’s voice whispering in her mind. Then she saw him, and her mind flooded with questions. Who was that man with the old-fashioned clothes and a gentleman’s manners? 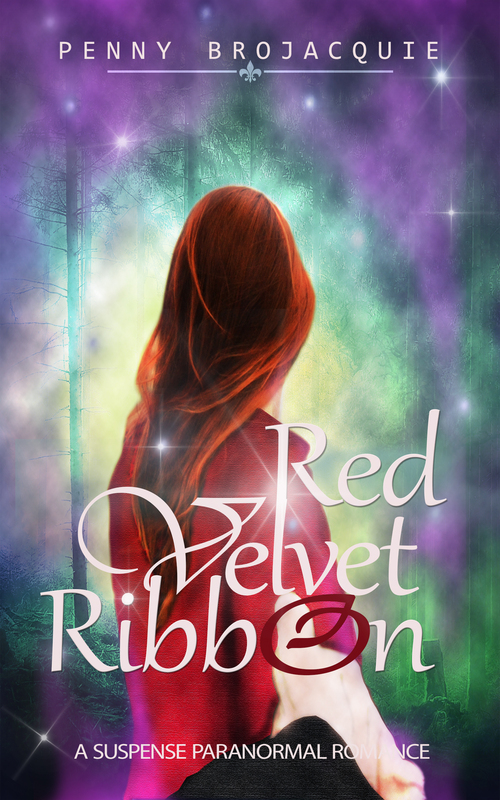 Why was he holding her red velvet ribbon in his hands? Did he really have growing fangs? Find out in this fast-paced suspense paranormal romance with strong historical elements.